The Cabarats have recently released their Album, Out of the Bag as a digital download on Bandcamp, you should check it out as it’s rather good! We first encountered The Cabarats as the deliciously playful support for The Undercover Hippy at The Junction in Plymouth earlier this year. We left the gig clutching a copy of Out of the Bag on CD and it has been the soundtrack to several family beach trips this summer. Since that chance encounter, the band appeared on one of the main stages at Boomtown Fair and gained the attention of BBC Introducing, performing on their stage at the magnificent Looe Saves the Day festival that rose out of the ashes of the Looe Music Festival. 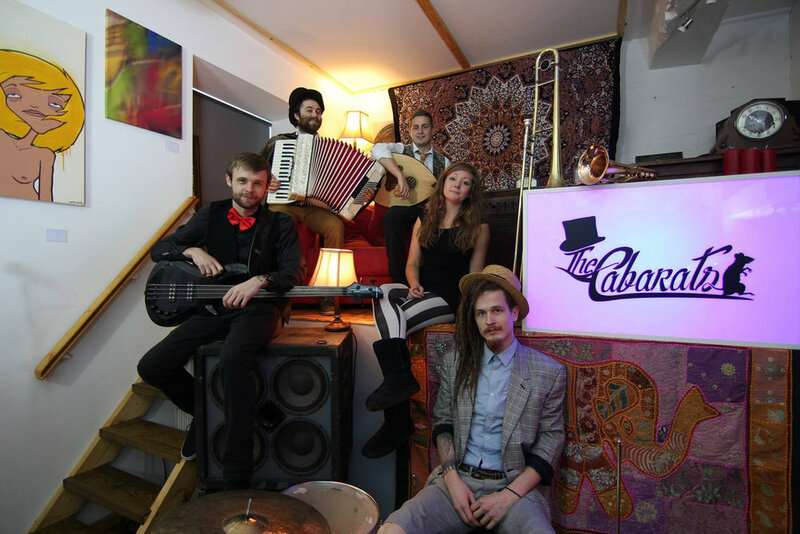 The Cabarats’ performances have been one of the musical highlights of my year, particularly their headline performance in August at the B- Bar on the Barbican in Plymouth. Out of the Bag is the product of six month’s hard work from the band and a successful Crowdfunder campaign. The stand out track is ‘Mess’, you can watch their live perfomance at Boomtown below, it’s bottom wriggling, foot stomping Oompahh music of the highest order! You can download Out of the Bag at their Bandcamp page…..and you should. Now! They promise a new EP in 2019 and The Cabarats are set to share their magic at festivals, venues, parties and even a few street corners! You will be able to catch them live on the 14th December at the Wharf in Tavistock alongside Malavita and The Kingstons. Their year is completed by a New Year’s Eve show at Old Tom’s Gin Palace in Plymouth alongside the Datura Roots Collective.